Ethan M. Basch, MD, of The University of North Carolina at Chapel Hill, discusses programs—now rolling out at various institutions—that use direct patient reporting of symptoms as a part of quality assessment (Posters 61, 81; Abstract 218). Electra D. Paskett, PhD, of The Ohio State University Comprehensive Cancer Center, discusses an intervention that increased knowledge of lymphedema in breast cancer, and the personal story that drove her research (Abstract 104). Patricia A. Ganz, MD, of the UCLA Jonsson Comprehensive Cancer Center, summarizes two studies on using duloxetine for aromatase inhibitor–associated musculoskeletal symptoms, and aromatase inhibitors’ effect on endothelial function and heart disease (Abstracts S5-06 and S5-07). Jean M. Connors, MD, of Brigham and Women’s Hospital, and Julie Vose, MD, MBA, of the University of Nebraska Medical Center, discuss a roundup of key findings on a critical area in the treatment of hematologic malignancies (Abstracts 17, 85, 86, 135, 139, 143, 273, 415, 419, 719, 877, 880). Stephen T. Sonis, DMD, DMSc, of Dana-Farber Cancer Institute, discusses the epidemiology, pathogenesis, and scope of oral complications of radiation therapy. Tracy A. Balboni, MD, MPH, of the Dana-Farber Cancer Institute, talks about how to preserve quality of life in the presence of complex spinal lesions, including novel ways to assess spinal instability and treat metastases. Joseph B. Narus, DNP, GNP-BC, ANP, of Memorial Sloan Kettering Cancer Center, discusses the impact of cancer treatment on men’s sexual health, and treatment options to improve erectile function. 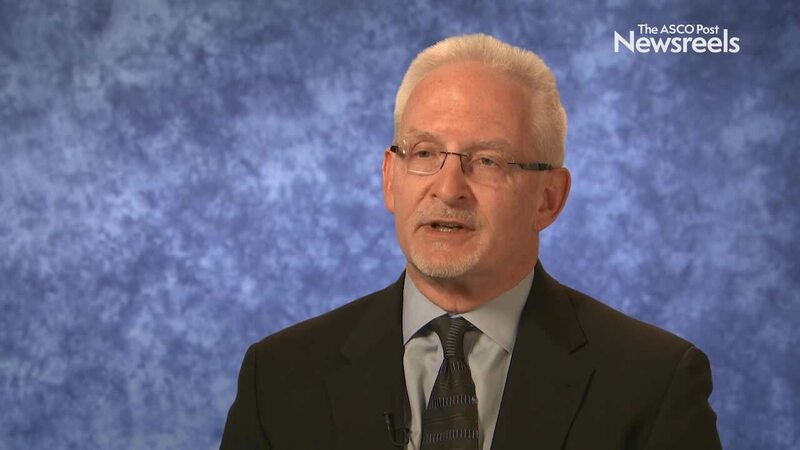 Charles F. von Gunten, MD, PhD, of OhioHealth Kobacker House discusses the ROMANA 1 and 2 trials on cachexia in NSCLC and a study on olanzapine vs fosaprepitant for the prevention of nausea and vomiting (Abstracts 9500 and 9502). Philip Bonomi, MD, of Rush Medical College, summarizes the findings on anamorelin and its use in advanced NSCLC for improvement in anorexia/cachexia symptoms (Abstracts ORAL 29.01, ORAL 29.02). Eduardo Bruera, MD, of The University of Texas MD Anderson Cancer Center, discusses exciting developments in the assessment and management of cachexia, as well as a number of emerging pharmacologic and nonpharmacologic interventions (Abstract 67). Lawrence H. Einhorn, MD, of Indiana University Simon Cancer Center, discusses the encouraging study findings on olanzapine for prevention of chemotherapy-induced nausea and vomiting in patients receiving highly emetogenic chemotherapy (Abstract 176). 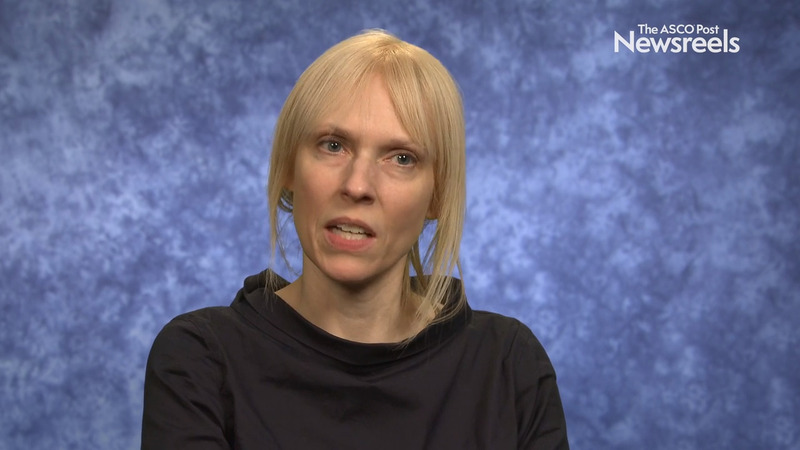 Amelie Harle, MD, of the Christie NHS Foundation Trust, discusses a clinical trial––the first of its kind—designed to assess the efficacy of an antitussive in patients with lung cancer (Abstract 2). Charles L. Loprinzi, MD, of the Mayo Clinic, discusses olanzapine for the prevention of chemotherapy-induced nausea and vomiting in patients receiving highly emetogenic chemotherapy (Abstract 176). Alysa M. Fairchild, MD, of the Cross Cancer Institute and the University of Alberta, discusses her study on the use of dexamethasone to reduce pain flare in patients receiving palliative radiotherapy for bone metastases (Abstract LBA6663). Andrew Seidman, MD, of Memorial Sloan Kettering Cancer Center, and Hope S. Rugo, MD, of the University of California, San Francisco, discuss the recent approval of a cooling cap to reduce hair loss during chemotherapy. David Henry, MD, of Pennsylvania Hospital, discusses new advances with direct oral anticoagulants, or DOACs. Alok A. Khorana, MD, of the Cleveland Clinic, discusses study results on the use of dalteparin for thromboprophylaxis in cancer patients at high risk for the condition (Abstract 427).